THIS AIRPLANE STARTED IT ALL! THERE IS A REASON FOR ALL THINGS! Recently I learned that the word COINCIDENCE does not exist in the Hebrew language. That's amazing! God, Father Yah our Creator, does not believe in coincidences. Then I guess I shouldn't either, right? Of course right. I want to tell you a story of how I personally discovered that the earth is indeed FLAT. Now, before you poo-poo me as being a little crazy, mixed up or just plain nuts, please give me a chance to explain how this happened. I can assure you, my story will give you food for thought. And...remember that Yah does not believe in COINCIDENCES. In 2015, my dad and I had a wonderful discussion about his years as a student pilot and his promotion to a commercial pilot. He owned his own plane, a Luscombe 8E, which he adored. 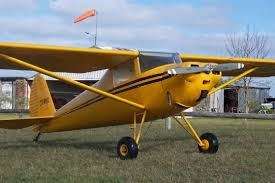 However, due to some strange circumstance, my dad became color blind and lost his pilot's licence. This devastated him. As we spoke that afternoon via telephone, I could hear the longing in his voice for the days of flying high with the clouds. I don't believe he ever got over having to sell his airplane. Knowing dad was being very nostalgic, I asked him what he thought about me, his oldest daughter, taking private flying lessons. He hesitated for a few seconds and then with excitement in his voice said, "Sure, I think you would do great!" So that very day, a friend who knew I was interested in flying just happened to call and give me the phone number of an instructor he met at a local airport. Andy, my new CFI or certified flight instructor, suggested I contact King Schools to obtain my training books, DVDs and written lessons. I went right home and ordered everything! On the very first day, Andy placed me in the plane's pilot seat. I requested to be the co-pilot, but there was no discussion. I thought that would be my first and only day in the air because I became horribly dizzy and nauseated. I continued to fly, but asked Andy to take the plane back to the airport. Thinking about vomiting in a small airplane sitting right next to my instructor was not a pleasant thought. He could see by my green pallor that I was not well, so he grabbed a "barf bag" from behind my seat. I never used it, but was sure happy it was available. As the weeks went by, two things happened that actually caused me to start "pondering" while flying. At that time, I didn't have a clue why those two things seemed to stand out in my mind, but stand out they did. First, I kept watching the instrument on the panel called the "artificial horizon." That little gauge is very unique. It helps the pilot keep the plane flying over the land horizontally. If the plane's nose goes down or up, the gauge registers the movement right away letting the pilot know. Second, one day as we were leaving the airport and were flying for a few minutes in a southwesterly direction, I noticed a city and another small, local airport. I was shocked. It just appeared. It did not come up over the horizon. It was just there. This happened to me twice and for some reason, I was unable to remove these incidents from my mind. Both cities where quite a distance from my home airport. I think that is why I was so puzzled that they just appeared. I kept these two situations in my mind, but put them on hold. As time went on, reality struck. 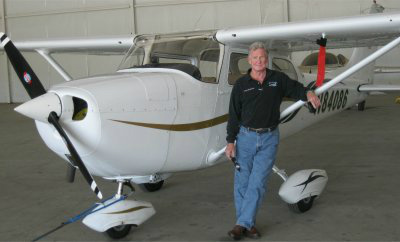 I realized that I needed to rethink my flying "career" and the funds I was spending to become properly educated. Lessons are pricey, the Kings Schools texts and DVDs are around $600, the long drive was taking its toll on my car and I had no idea what I would do once I obtained my license. 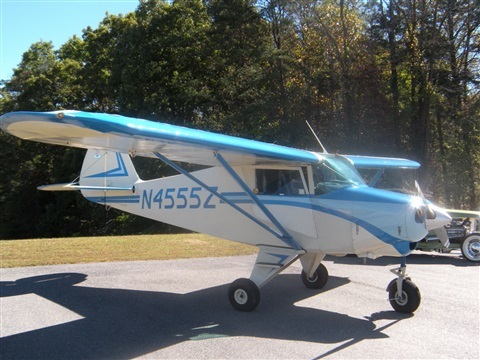 Buy an airplane? That's an expensive proposition. I could rent one, but that's also expensive and I would always be at the mercy of someone else's plane, hoping it stayed in the air. My only other option was to marry a pilot. Don't laugh, I really thought I might do this. But then I began seeing all those "eligible" pilots and decided...well, enough was enough. 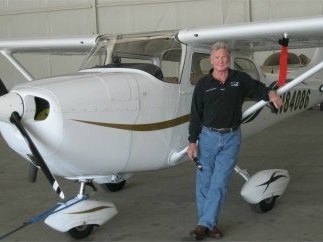 During my season of flying, I had several folks, about 12, praying for me. When they heard I was quitting, some were overjoyed. They had been concerned that my new-found hobby was too dangerous. The others became puzzled and asked the Father why He allowed me to spend all that time and money flying an airplane, only to give it up. I prayed too, but figured it was just another lesson in life and decided to write it off. However, the Lord had other plans. Several families in the prayer warriors group, about 5 of them, contacted me at different times during the following weeks. Some of these people knew each other, but didn't contact one another. They started calling me asking if I had heard of the FLAT EARTH. Of course, I was puzzled. But when each one of them started giving me website sites, YouTube videos and books to watch and consider, I did just that. At first, I was a major skeptic. I thought they were all nuts, but I had known them for years. They couldn't all be crazy... It just didn't add up. Why hadn't they mentioned this before now? So, my journey into the wild, woolly and weird began. One evening while viewing a YouTube video by Scripture teacher Rob Skiba, something began to click. I heard Rob explaining how Scripture actually tells us the earth is flat, it is on pillars, it does not move and so on. I listened intently and hung on to his every word and the Scripture verses he was reading. But suddenly he stopped talking. He seemed perplexed about something he said. Then he blurted out a statement, and I paraphrase, that everything he said was true because it was in the Scripture. God was either a liar or telling us the truth. And, since Rob believed everything in the Word of God was true, he had to accept it. The realization not only came over him, but it struck me square in the heart and mind. The Father's Word is true. Truth sets us free. Not only was Rob freed that night, but so was I. The earth, made by Father Yah, was FLAT, sitting on pillars with a dome over the top of it. How cool is that! The best part, I had some proofs of my own from flying. 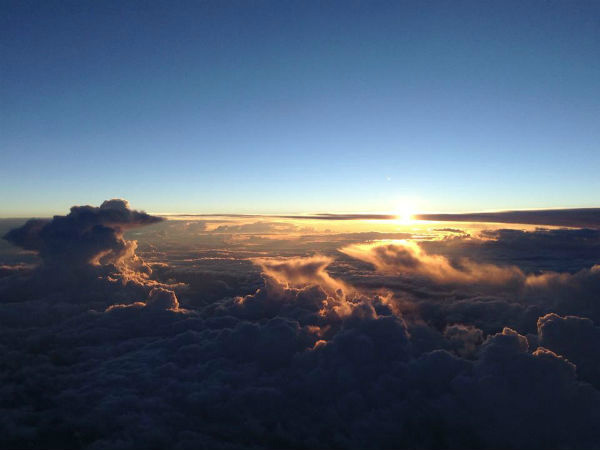 If the earth was a round globe, then when flying over it my artificial horizon would have told me so. I would have had to compensate for the curvature of the earth. Second, why did those cities just appear? They didn't come up over the horizon--they were there. Third, yes there is a third thing that happened. I learned about DENSITY. Gravity, well that hasn't even been proven, no joke. You can research this should you care to. But density has been proven and it is very important when flying an airplane. I will add some really great YouTube videos in the next page that have helped me see this from human eyes, but more than that, from the Father Yah's eyes and Word. If you ask Him to show you truth, He will do it. But, here is the problem... The lies don't end with a flat earth reality. Once you realize you have been lied to in this area, you will begin to wake up to major deception. I pray you will not become discouraged. Push onward for truth. You, too, can be set free to know who lied, why they lied and correct your thinking, as well as that of others. This is the fellow who took me up the first day as the "pilot" and had me hunt for my house from the air. 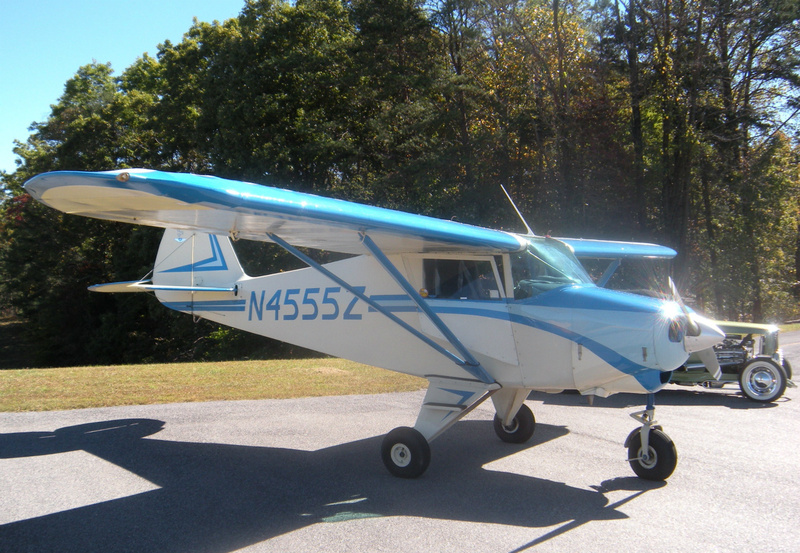 The neighbors still talk about the DEA agent who was searching the area in a Cessna 172. Too funny. It was me! I really wanted to buy this little jewel, but the owner wouldn't budge. Cute as a button and flew like a dream. From way up there, the earth is definitely flat. Most real photos of the earth at high altitudes usually use a fish-eye lens. This give the illusion that the earth is round, but if you check out the trees and building, they are usually leaning. I know you will love each of these well-made videos about the Flat Earth (FE). I've chosen what I believe are the best. Many of these came from other FE folks I know personally. If you know of a video I should view and attach to this site, please send me the link via the "Contact Me" section. If you want me to contact you, please add an email address. Also, please inform me if a link no longer works or if there is anything inappropriate in the video. 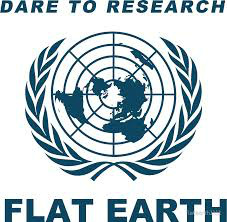 Please note the United Nations symbol to the right is the FLAT EARTH! ABSOLUTE PROOF NASA IS FAKING PICTURES OF EARTH! VOTED THE BEST FLAT EARTH PROOF!!! A SERIOUS QUESTION FOR NASA Pt. 4 - ORANGE JUICE??? DOES THE LUNAR ECLIPSE DEBUNK THE BALL? SHOCKING FLAT EARTH PROOF...THE MOON DISAPPEARS! You can scroll to section on moon. SHOCKING NEWS! GOOGLE EARTH LEAD DEVELOPER BELIEVES EARTH IS FLAT! IN MEMORY OF MY DAD!